First things first: my thanks to Librarything and its Early Reviewers program (and to Minotaur books) for the advanced reader's copy of this novel. File this one under pre-order, because it's not scheduled to be released until February, 2011. To keep myself current in Japanese (and Chinese too), I often watch foreign movies with no subtitles, and I had recently added the movie Yogisha X no kenshin (English title: Suspect X) to my Netflix queue. So when LT offered this on its list of ER books, I jumped on adding my name to the please, please list so I could read it before watching the film. This book was the recipient of Japan's Naoki Prize for best novel in 2006, and there is also a Japanese TV series called "Detective Galileo" based on Higashino's books. Higashino is also the author of another book on my shelf -- Naoko -- which I haven't yet read but it's probably going to move closer to the top of the TBR pile once I get home. There's no mystery in this story really -- if you read the blurb on the back, the story is given to you: a single mother (Yasuko Hanaoka) of a teenage girl gets a visit from her ne'er do well ex-husband (Shinji Togashi). She's been trying to avoid Togashi since the divorce, but he eventually catches up to her at her apartment. Trouble ensues, and Yasuko strangles him. After some hand-wringing moments of wondering what she's going to do now and how her daughter will fare if she goes to prison, Yasuko's problem is solved when her next-door neighbor Ishigami comes to the rescue. 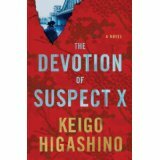 Having heard the commotion through the shared thin walls of the apartment, Ishigami (who has admired Yasuko from afar, stopping in daily at the bentei shop where she works), comes up with a plan -- he will help her get rid of the body, and to protect the object of his affection, he comes up with the perfect alibi for her. Every possible avenue of police questioning is planned out -- but what Ishigami hasn't counted on is his old university friend Yukawa (nicknamed Detective Galileo by his cop friend), physicist, fellow genius and more importantly, a sometimes-consultant for his detective friend currently working on the case. What follows is a rather challenging and often suspenseful game of cat and mouse that lasts right up until the end -- with a couple of nifty plot twists thrown into the mix to keep the reader guessing. The characters in this novel are interesting, to say the least, especially Ishigami. He is somewhat of a loner; a gifted mathematician who is wasted in the classroom teaching teenagers who don't care and who don't understand why they should learn math. He is a genius who would rather spend his time solving complex mathematical problems or working out extensive mathematical proofs, unconcerned with gaining recognition for his efforts. One of the most interesting parts of this story revolves around his rather odd devotion to Yasuko, whom he met by chance at a point where he felt that there was "no particular meaning to his life." I spent the entire novel wondering just what it was that made this man do what he did -- waiting up until the very end for the answer to this question. It's Ishigami who is the cornerstone of this situation -- not the detectives on the case, not his friend Yukawa, not even Yasuko -- and understanding Ishigami is the key to how this entire drama plays out. I had no translation issues at all with this novel, and overall it was an interesting journey from start to finish -- especially the nifty twisties in the story. 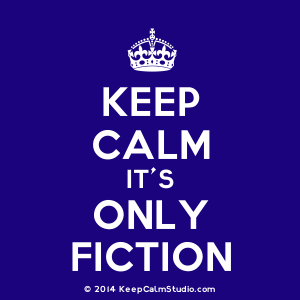 Personally, I found it more of a psychological drama than a mystery or crime fiction novel, but there's enough detective work to keep a crime fiction reader interested. Unlike many other novels of Japanese crime fiction or mystery, this one is rather light -- not as dark as say, something by Akimitsu Takagi or on the level of weirdness of Ryu Murakami's In the Miso Soup, but it's still a good read. I'd recommend it to readers of Japanese crime fiction for sure and to those who enjoy Japanese novels in translation.